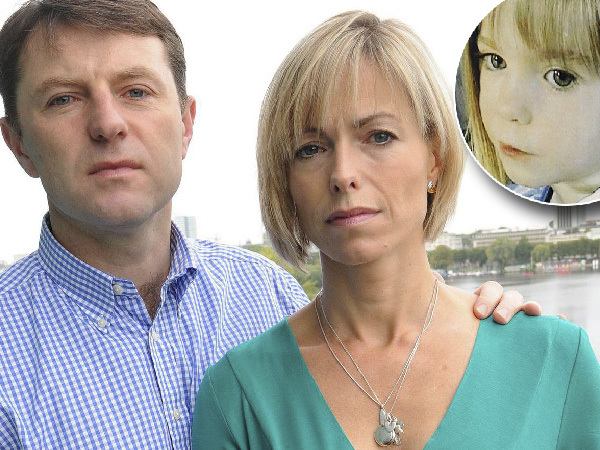 Latest in Maddie McCann saga: Was she smuggled to Morocco? The image of a little girl in blue pyjamas at a petrol station will haunt her to this day. The image of a little girl in blue pyjamas at a petrol station, to this day, still haunts a woman who was a tourist in Marrakesh, Morocco, in 2007. “Can we quickly see mommy again?” the little girl, who apparently looked heartbroken, asked the man who was with her. The woman, Mari Olli, believes wholeheartedly that the little girl in the blue pyjamas was Madeleine McCann. ‘Maddie’, as the media often calls the blue-eyed British girl, disappeared when she was just four years old, while on holiday with her parents, Kate and Gerry McCann, in Portugal in 2007. Maddie disappeared without a trace. Since that fateful day, Britain’s top detective unit, Scotland Yard, and her parents have searched unabatedly for answers about how Maddie could have vanished from the holiday villas at the coast of Portugal and what has happened to her since then. “It was quite odd to see a blonde little girl alone in Marrakech,” Mari wrote in an email to the Leicestershire police office, writes British newspaper, The Mirror. Mari reportedly also provided Scotland Yard with a statement but alleges she was never called back. Former Scotland Yard detective, Colin Sutton, recently told The Mirror that a reported Mauritanian smuggling-soot definitely needs to be investigated. Gangs in Mauritania, in West Africa, infamously sell little kids to rich families in the Middle East, says The Telegraph. The Mirror further reports that private investigators have reason to believe that Maddie was taken to Morocco. Ferries apparently frequently depart from the Spanish harbour Tarifa to the Moroccan harbour Tangier. Tarifa is only four hours away from Praia de Luz, the place where Maddie went missing. Four days after Maddie went missing; a tourist is believed to have seen a little girl in a blue car on the ferry between Tarifa and Tangier. The vehicle reportedly had a Portuguese registration number. Interpol detectives allegedly also received a tip-off in 2007 that a man was spotted with a little girl in Tangier. He apparently wanted to buy her shoes but she seemed unhappy and would not speak, reports The Mirror. In October last year, the group of investigators from Operation Grange (the name of the investigation after Madeleine McCann’s disappearance) decreased to 29, but the British government has now allocated additional funds and given them the grace to search another six months for answers on what happened to the blonde-haired girl.